We took the TC8000, the world’s most revolutionary enterprise touch computer design, and made it better. You get the same innovative ergonomic design that minimizes motion to deliver a 14 percent boost in worker productivity. We added the ultimate in processing power and memory to give your workers the lightning-fast application performance they expect. 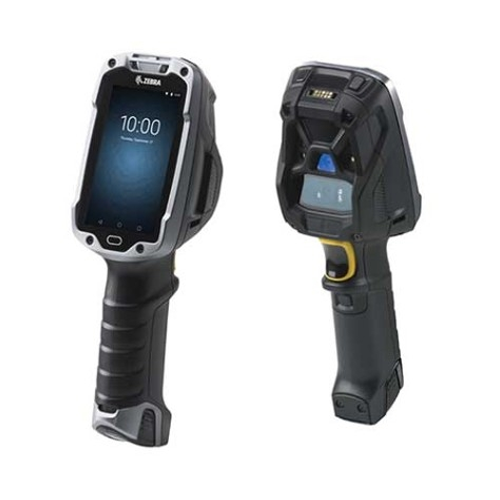 The latest in WiFi and Bluetooth technology provides your workers with the fastest and most dependable wireless device and peripheral connections, maximizing availability — and value. Comprehensive data capture options let you capture it all — barcodes, direct part marks, entire forms and more. And when it comes to Android, the TC8300 simplifies every aspect of deploying Android in your warehouse — including migration and security as well as control over updates and Google Mobile Services. Zebra OneCare Essential and Select: Maximize Zebra device availability, device value and operational efficiency with these fully-featured support services that set the industry bar for support. Zebra Visibility Services — Asset Visibility Services (AVS) and Operational Visibility Service (OVS): Options on any Zebra OneCare support contract, these services deliver the device management data needed to take device uptime, operational efficiency and return on investment to the next level.